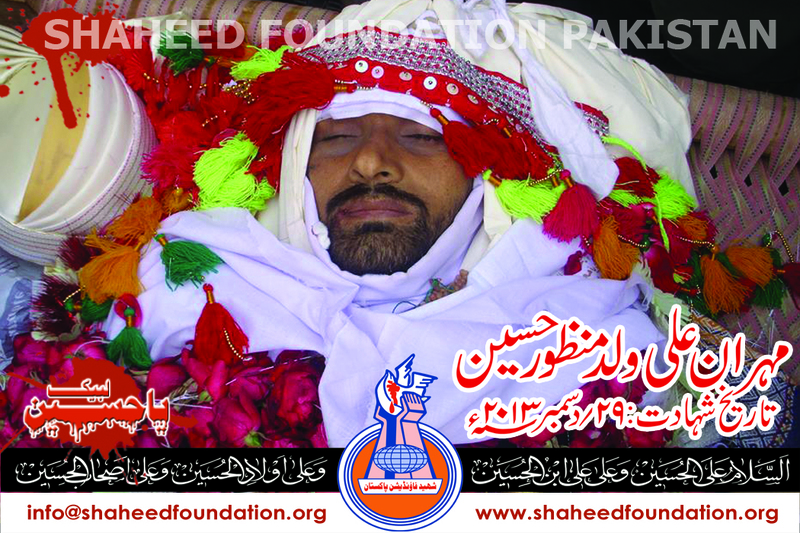 Mehran Ali Son of Manzoor Hussain aged 25 years embraced shahadat when yazidi terrrorists opened fire on him . He was a resident of Tank Grah Baloch and was on shop as routine when the attack took place. 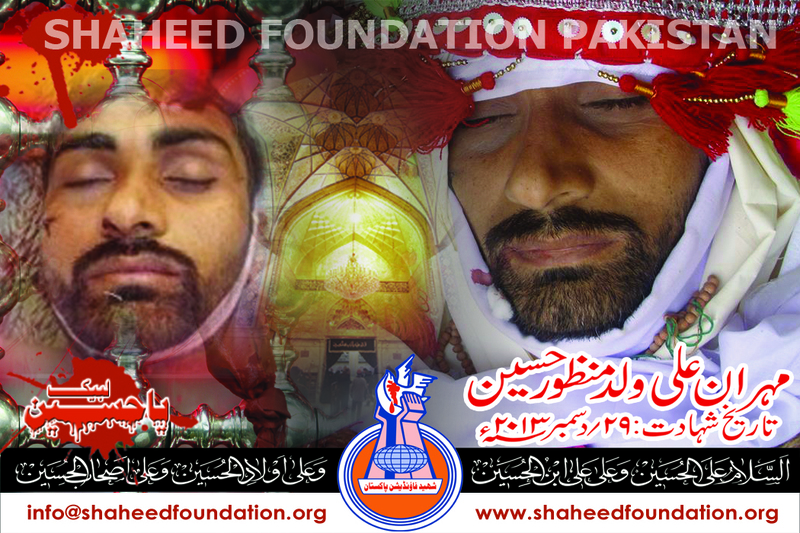 Please recite a fateha for Shaheed Mehran and Shohada-e-Millat-e-Jaffaria Pakistan.